I am very happy with my new computer so far! The joy of playing with it, though, and other commitments this week have slowed down my reading. 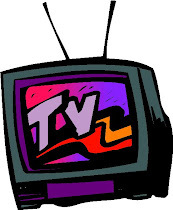 I have undertaken the task of figuring out how many series I am in the middle of and have been for quite some time. It is a huge under-taking! I have a serious problem with starting series and then never finishing them. I do admit there are a bunch I am still waiting for books from, but there are others that I have owned all the books to for years and still haven't read book 2. It's crazy! I am sure I will go into this in more detail once I am organized. 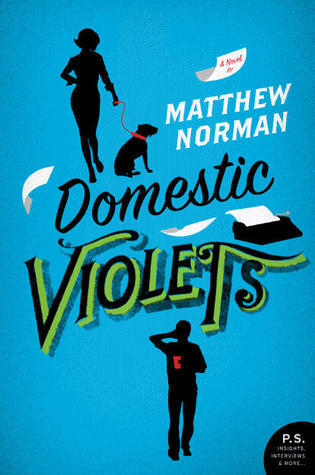 Domestic Violets by Matthew Norman - I have this from NetGalley. I have seen many positive reviews of it, but it is still a bit early to say. I am enjoying the book/movie references, though. The King's Daughters by Nathalie Mallet - I loved the first book in this series, but I was horrified to discover I read it back in 2008! This book came out in 2009 and for whatever reason, my series-challenged self is only reading now. In the meantime, book 3 is out and I have a copy of that, too. I really need to get better at this series-reading. I am enjoying the book so far! I think after I catch-up a bit, though, the first book is due for a reread. 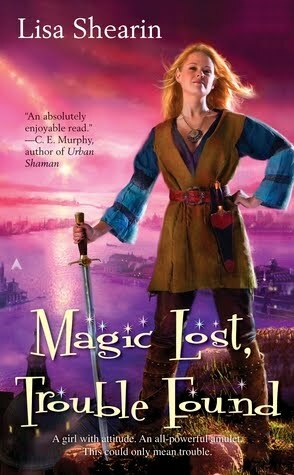 Magic Lost, Trouble Found by Lisa Shearin - I have had this book out from the library a couple times, but only finally reading it now. I actually bought a copy because the second-hand bookstore had it and I still had credit left. They also had some of the sequels. I am enjoying this book and will likely finish it soon. 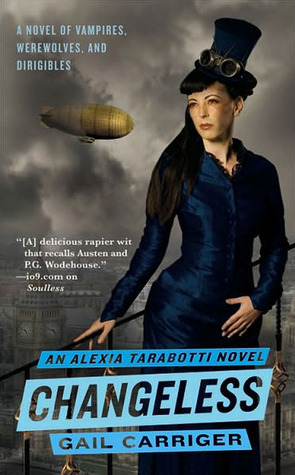 Changeless by Gail Carriger - This is another attempt to work on series in progress. I really enjoyed book 1, so I have no idea why I have been so slack getting to this one! In the meantime the series has grown to 4 or 5 books and will be even harder to catch-up with. It's a fun read so far! Under the Eagle by Simon Scarrow - This is actually a reread. I was at the second-hand bookstore the other day and they had almost the entire series! They just didn't have book 2, so I decided that while I waited for my copy to arrive in the mail I would refresh my memory. It's a bit funny that I have been stalled on this series because I don't own book 2, but turned around and bought it after buying most of the other books. I could have been further along if I had just done that ages ago! 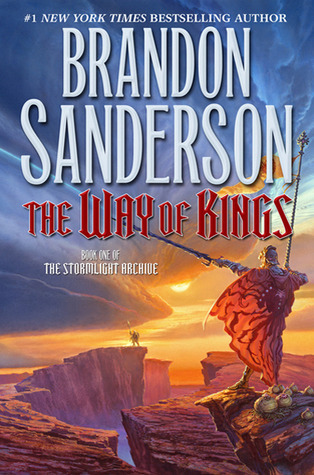 The Way of Kings by Brandon Sanderson - This will be on here for a while. I could probably concentrate on it and finish it in a timely manner, but I want to be where everyone else is when I have to come up with questions for my turn. Normally I can't read on a schedule like this. We will have to see if it continues. In the meantime my physical copy STILL hasn't arrived! Good thing I got an e-copy just in case. This weekend is the Memorial Service for the cc's sister who passed away in December of last year. There will be a service and then they are spreading her ashes. 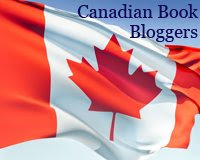 I am not sure what that will mean for my reading/blogging, so have a good weekend in case I am not around! I know what you mean about series. I have a few that all I've read is book 1 too, and like you - several years ago. I decided I was probably never going to get to the rest of them and crossed them off my extensive list. Which I couldn't do without, btw. Good luck with your list making too. I'm eager to read Domestic Violets and may just pick it up next! So glad that your computer is awesome!! I have Domestic Violets on my kindle. Can't wait to read your final thoughts on it! The same thing happens to me with mysteries. I like to vary things so will go from one author to another with the expectation of returning soon to pick up the thread, but you know what happens--other books get in the way. In some cases I've read halfway through the series and then stopped--always with good intentions. I need to sit down and decide what I need to finish this year since the months are flying by and there are only so many books I can still squeeze in... I have Gail Carriger on my list of authors to read, too! I'm super excited to see that you are reading Changeless! I love this series and can't wait to hear your thoughts on it. Enjoy! **Cath: I crossed some off, too. There are still too many! **bermudaonion: Domestic Violets is fun so far, but I still haven't had a lot of time to read it. **Danielle: I never seem to return to most of what I start... It's sad! Sometimes I get on a role and read a bunch at a time, but that doesn't happen enough to keep ahead in things. **Samantha: I am really enjoying Changeless so far!